I recently reviewed the Tronsmart Encore Spunky Buds and I was impressed by how convenient it is, in fact, it is currently my daily driver. I like the form factor, the true wireless stereo feature and most importantly, the sound quality. 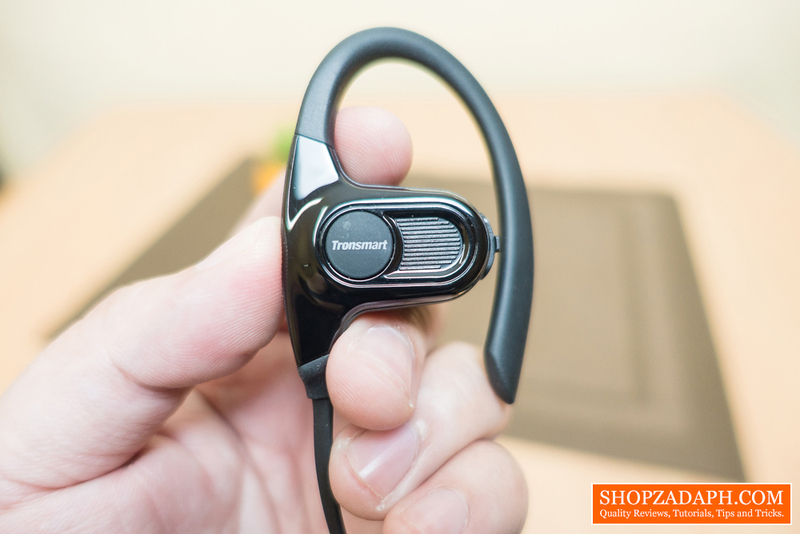 Today, we are taking a look at it's bigger brother, the Tronsmart Encore Hydra Wireless Headphones, although it's not cable free like the Tronsmart Spunky Buds, it offers superior fit around your ears and longer battery life in a single charge. Since this is geared towards athletes and people who like sports and fitness, it also features IPX7 Water Resistance to protect it from sweat and other elements. 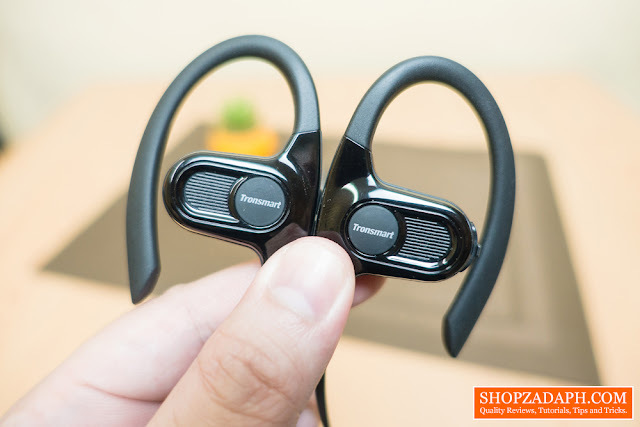 In terms of design, it actually looks nice, albeit, a little bit larger than most sports-oriented Bluetooth headphones out there, it still looks quite decent for my taste. 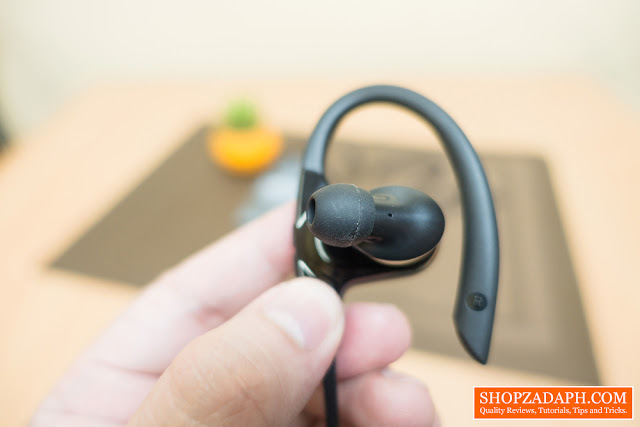 It has a combination of glossy plastic finish and matte black rubber on the ear hook and its cable. 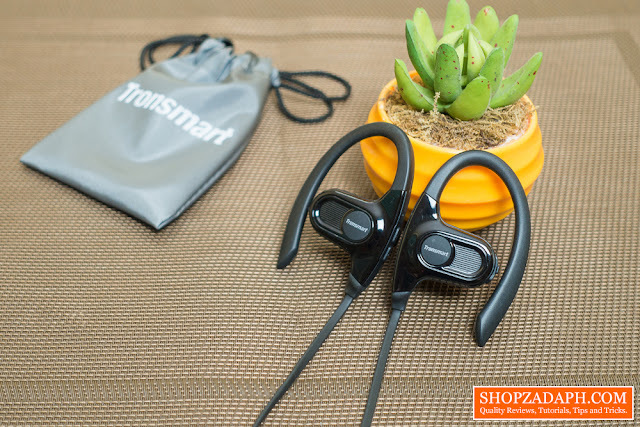 The construction is very solid, the Tronsmart Encore Hydra is made of hard plastic materials with soft rubber for the ear hook and its cable. The cable is flat which makes it basically tangle free and measures around 19 inches. The ear hook is flexible and a little bit angled so that it can fit perfectly nice around your ears. It's kinda finicky sometimes to hook it around your ears but once you're able to wear it properly, it's not going to come off that easily. 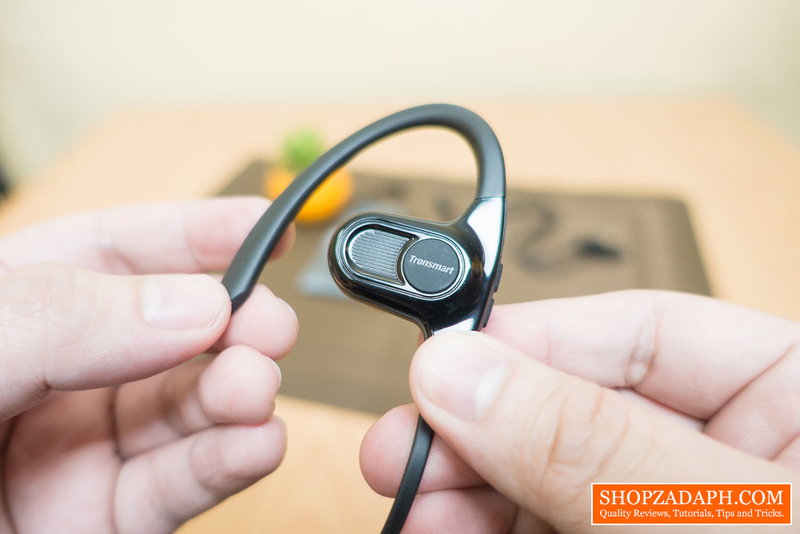 At the center of the right side earbud, we'll see the multifunction button with a tronsmart logo. We'll discuss its functions later. 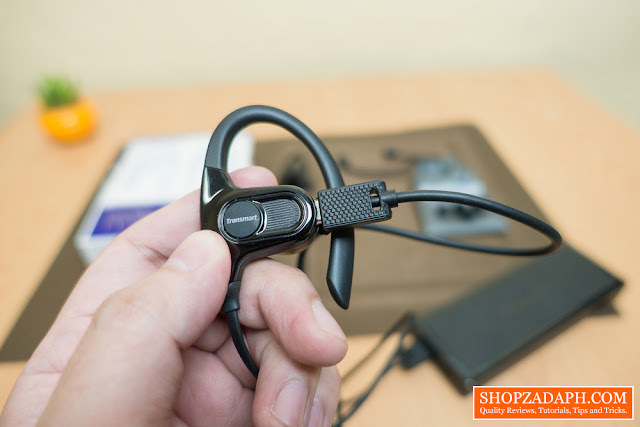 On the right side, we have the volume up and down buttons as well as the built-in microphone. At the back, we have the earbud itself, the ear tips are replaceable with the included different sizes of ear tips. At the top, we have the LED indicator for both power and Bluetooth connectivity. 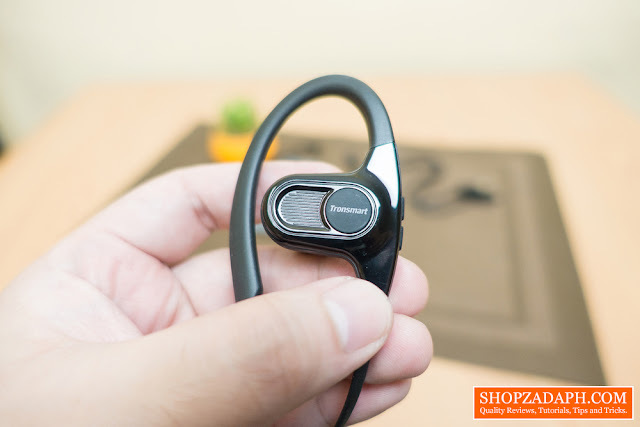 When it comes to the Bluetooth pairing and connectivity, I didn't encounter any issues whatsoever, It's actually pretty straightforward, just push the multifunction button for 2 seconds and it will turn on and automatically go to pairing mode. The LED indicator will flash blue while pairing and all you have to do is turn on the Bluetooth on your device, pair it and you're all set. 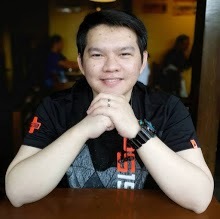 As with other Bluetooth devices from Tronsmart that I've tried, stability with the connection depends on the things that are blocking the frequencies, for the most part, it is stable until something blocks the connection like a wall for example, but with a clear line of sight, I was able to use it near the specified 10m range. 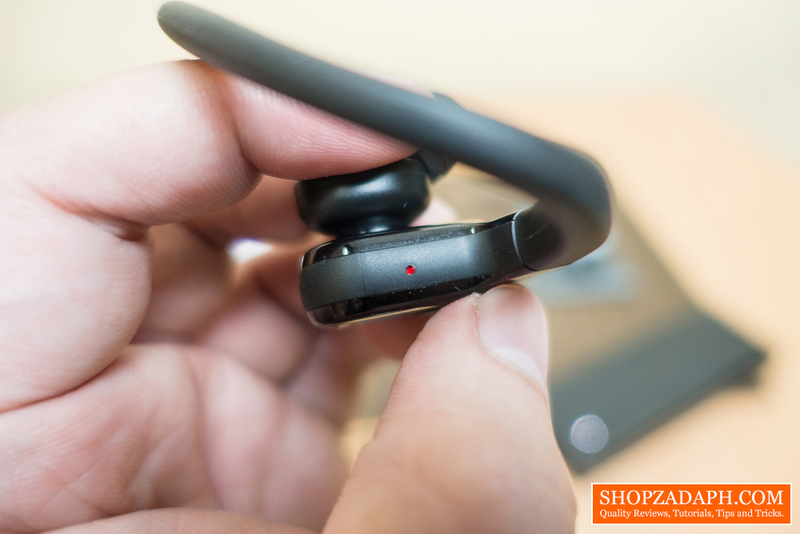 While playing music you can control your playback directly from the right side earbud, so if you want to pause the music just press once, and if you want to continue just press it again once. If you want to skip track just press the volume up for about 2 seconds. To answer a call just simply press the multifunction button once and to end the call just press it again, rejecting a call requires pushing the volume down button for 2 seconds and redialing requires pushing the multifunction button twice while on standby mode. During a call, you can also push the volume down for 2 seconds to mute the microphone and then push it again for 2 seconds to unmute it. These headphones as I've mentioned earlier is an IPX7 water resistant, which means its protected against water immersion of up to 1 meter, providing that you securely close the rubber flap on the micro USB port. And since this is geared towards people who like working out, the water resistant feature is very crucial to protect it from sweat. 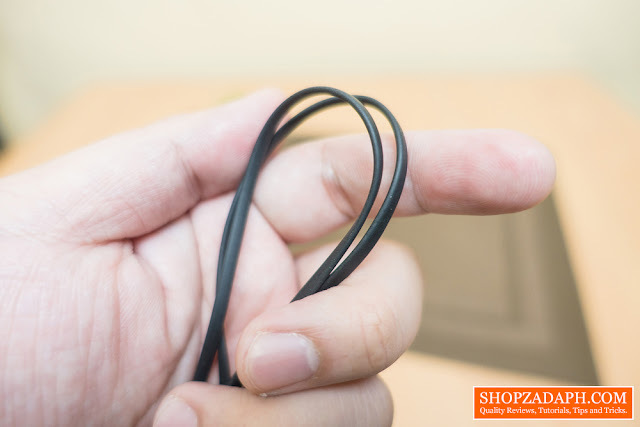 When it comes to charging the Tronsmart Encore Hydra, you can pretty much use any type of charger that is compatible with a micro USB cable, be it a wall adapter or a power bank. As per my testing, I was able to fully charge these headphones for just around 1.5 hours using the Tronsmart PBT12 Power Bank. As per specifications, playback time should be up to 12 hours but as per my testing, I was able to listen to music continuously for only about 8 hours at 65% volume, I tested it twice with pretty much the same results. Although it didn't last for 12 hours, 8 hours for me is still very impressive, currently, the longest lasting wireless headphones that I have for a single charge. While charging the LED indicator will turn RED and will turn off once it is fully charged. 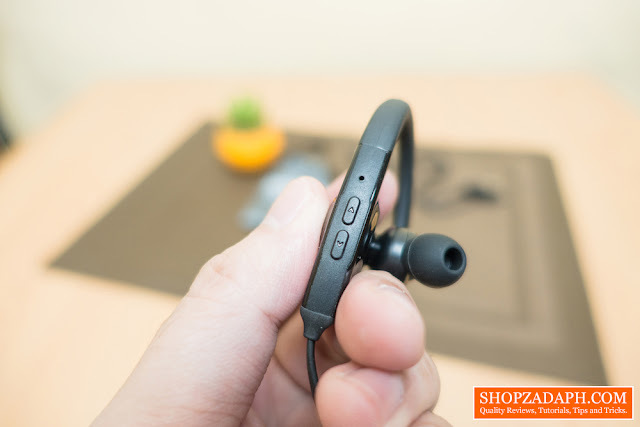 In terms of sound quality, nothing really stands out to me, It's decent, it's well balanced, the base is adequate but I feel like it could be better. Mind you, it's still better compared to most wireless headphones that I've tried before, overall the sound quality is quite decent and for most users, this will suffice for any workout sessions. In conclusion, what I like about this is the outstanding battery life, although not at par with the specs, 8 hours is still pretty solid. 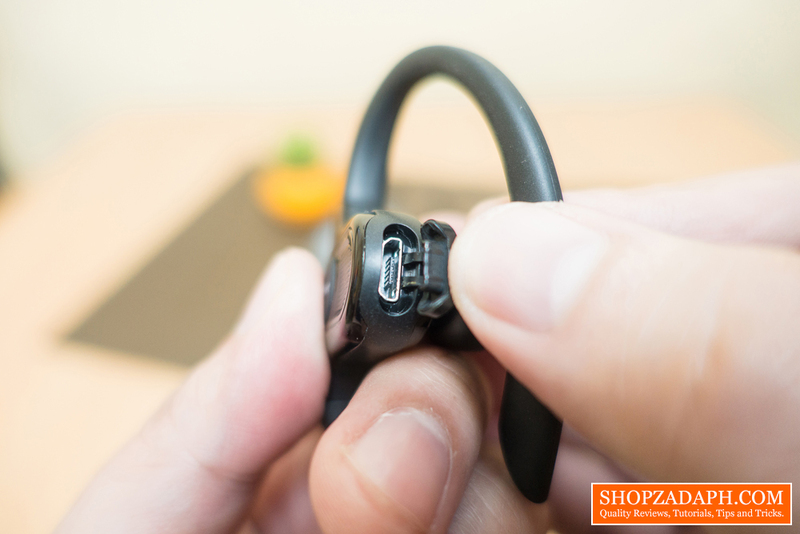 The build quality is also very good from the tangle-free cable, flexible ear hook up to the hard plastic shell of the earbud itself. 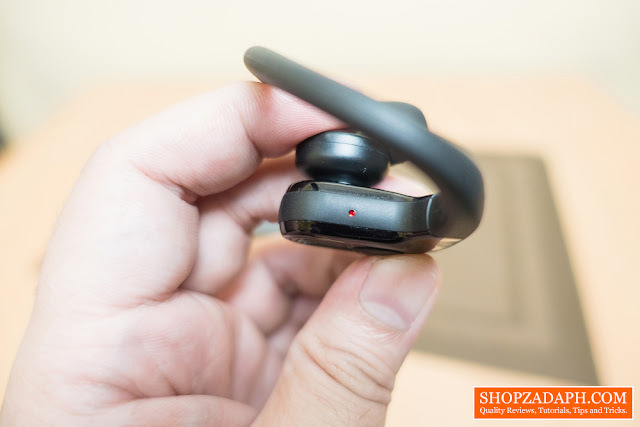 But I feel like the form factor is a little bit on the larger side, not to mention it's a little bit finicky to place inside and around your ears. Other than that, The sound quality is very acceptable and at the end of the day, it does the job done. 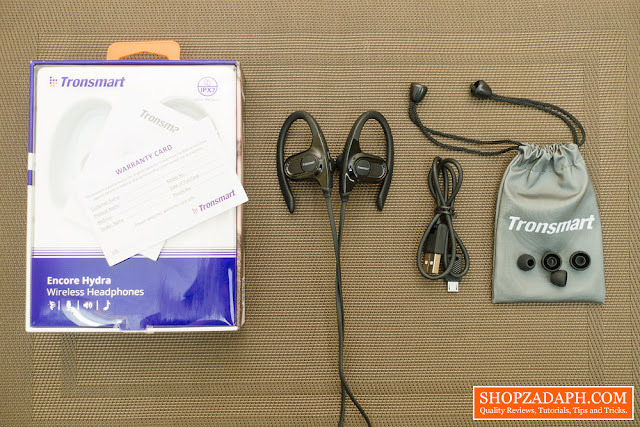 Thanks to Tronsmart for making this review possible, you can get these Bluetooth headphones from their official store on Lazada, link below.